All growers want to make the most out of our cannabis plants. This involves many things: light, water, nutrients, humidity, and much more. When the time comes to harvest, a smart grower knows that one of the most valuable things to look for is the presence of trichomes. Trichomes, small, resinous hairs that are present on the surface of a plant, indicate health and potency. But let’s be clear: the presence of trichomes doesn’t necessarily mean you have a successful harvest. 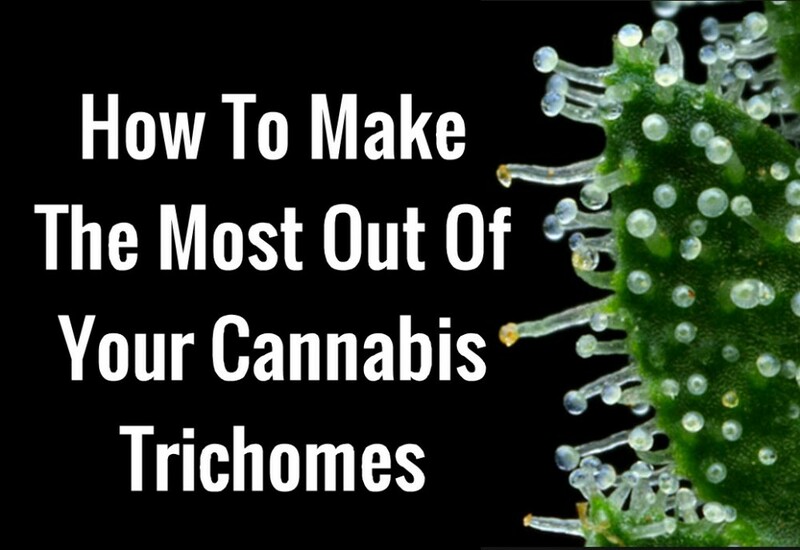 However, mastering trichomes is key if you want to learn how to cultivate top-shelf cannabis. While growers know that the presence of trichomes is important, many don’t understand the biological reason that cannabis plants have them. It’s because cannabis plants grew them for self-defense: trichomes are how female cannabis plants stay protected from pathogens and pests. Additionally, trichomes secrete compounds such as terpenes, and in doing so, it helps protect the plant from insects. Trichomes, because they coat cannabis buds, protect the plant from the damage caused by ultraviolet rays. Preserving and farming trichomes should be integrated in every aspect of growing: it starts from breeding, and goes all the way to curing your cannabis. 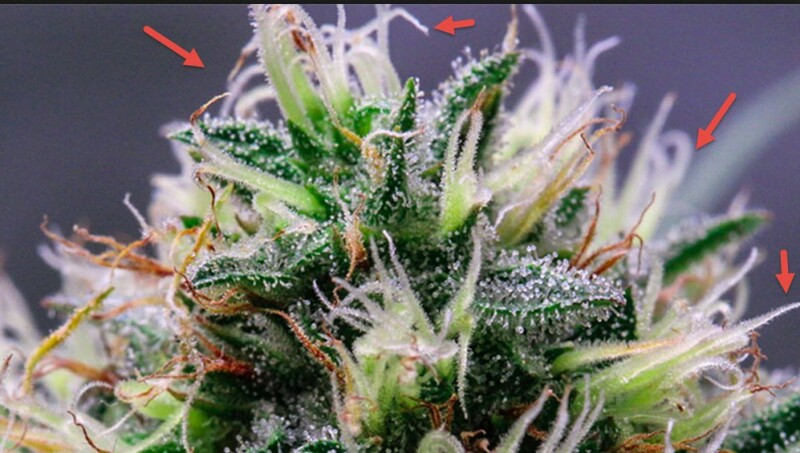 Trichomes already start forming in the first few stages of the flowering cycle, although it isn’t until the last few weeks when they noticeably start swelling. Genetics: if you want cannabis flowers loaded in trichomes, you have to make sure you’re starting with good genetics. Some cannabis genotypes are known to yield more trichomes than others. Grow habitat: The grow habitat you choose plays an important role in the resinous yield of your plant. Even if you select a genotype that is known to produce rich trichomes, growing it in inappropriate habitats will not give you the desired trichome output you’re looking for. Keep in mind that trichome quality doesn’t necessarily mean you’ll grow plants rich in cannabinoids and terpenes; all of these are affected by the environment you grow your plant in. Light, nutrients, water, humidity, temperature, and airflow will all have a direct impact on the formation of resin as well as cannabinoids. Human contact: You must try to reduce contact with flowering cannabis as much as possible. Trichomes are extremely sensitive in nature, and will immediately be damaged upon contact. So if you’re the kind of grower who tends to handle buds and colas often, this is a practice you must stop if you want to grow resinous buds. The same practice should be applied when harvesting. Heat: Heat is an enemy of trichome formation. Make sure to keep your temperatures low since this will encourage even more resin production. This is especially important in the later stages of the cannabis bloom cycle. It also helps to keep temperatures low when harvesting since high heat temperatures may interfere with resin production at any phase whether you are growing, harvesting, or even curing. Don’t harvest: If your trichomes are still thin and clear, this means the bud isn’t ready for for harvesting yet. It also means that your cannabis has minimal potency. Start of harvest window: You’ll start to notice the appearance of mushroom-like heads, which soon plump up and the trichomes begin to turn a milky shade of white. The whiter your trichomes become, the higher THC levels your plant has. This is also when your plant cannabinoids are deepending its mental effects. End of harvest window: When most of your trichomes have turned completely white, hints of yellow or amber on them is a sign that your THC is now converting into different compounds. The mental effects of your bud is reduced slightly, and your plant is now developing stronger body effects. Harvesting at this time will give you cannabis that’s heavy on the tranquil, sedated feeling. Cannabis can no longer be maximized: If you harvest after your trichomes have turned yellow or amber, they will soon start to wither and die off. Harvesting at this time will give you cannabis that is less potent, and can make you feel sleepy. 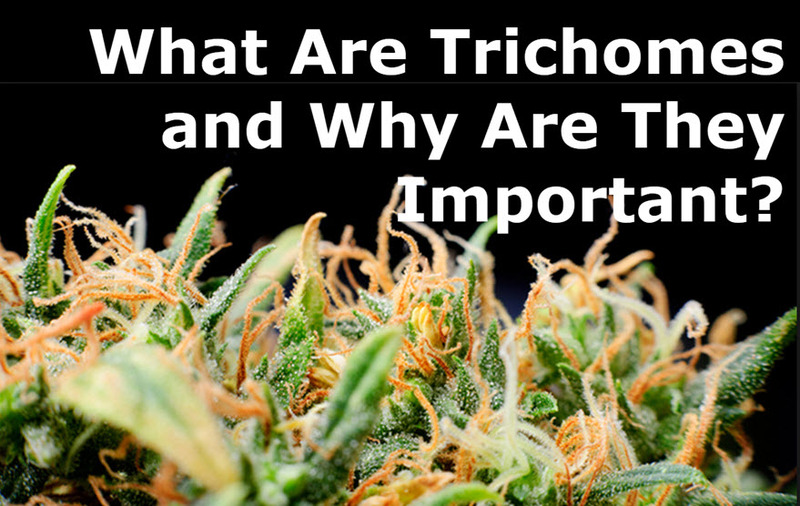 WHAT ARE TRICHOMES AND WHY ARE THEY IMPORTANT, CLICK HERE. Cannabis, Growing, Home, TopShelf, Trichomes, weed. Bookmark.